Oral solution to support the major blood parameters. Particularly useful in cases of pale mucosa and general weakness. 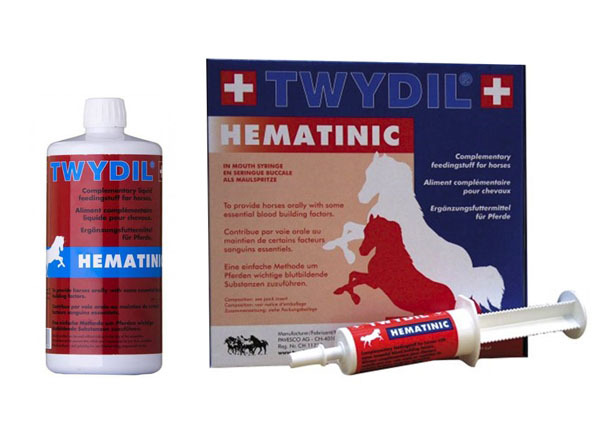 Any horses needing a tonic effect. After surgical interventions, after veterinary treatment, cases of high-grade parasitism and tick-borne diseases. Composition: Vitamins E, B1, B6, B12, folic acid and biotin, trace elements: iron, copper, cobalt, manganese and zinc. This original formula acts on the protection of erythrocytes function, reinforces their production and prevents their premature ageing.